Wondering how to make ghee? 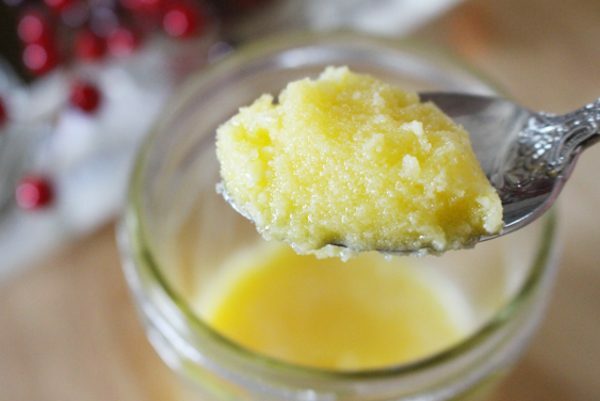 This easy ghee recipe will help you get started making ghee at home instead of buying it at the store! 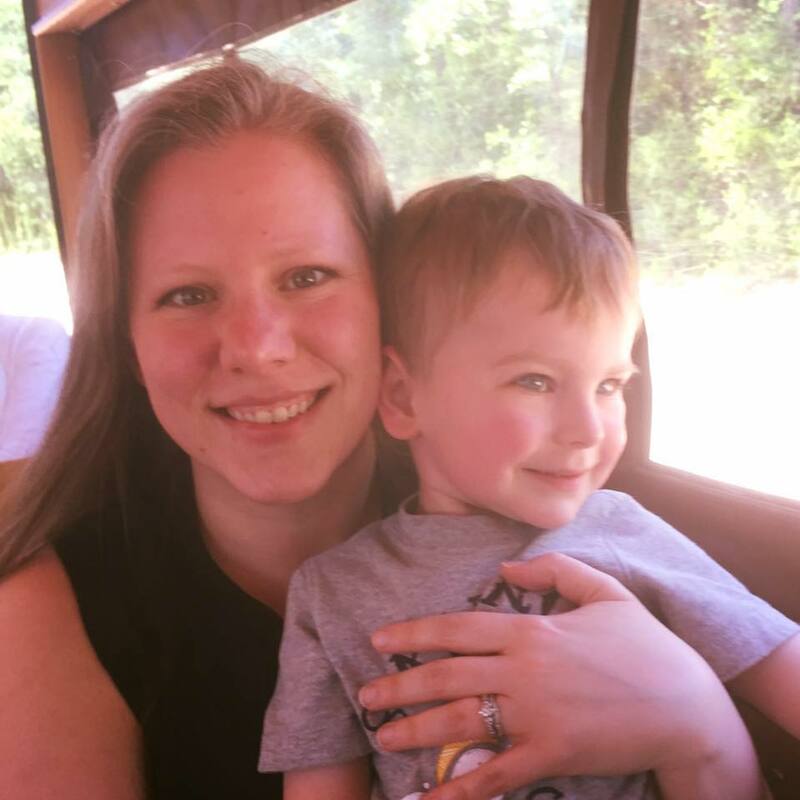 One of the biggest changes for us when starting the GAPS diet was the dairy introduction routine. On GAPS, you introduce dairy very slowly and you start out with just ghee for 6 weeks. In our area ghee is very expensive, so we decided to make it ourselves. 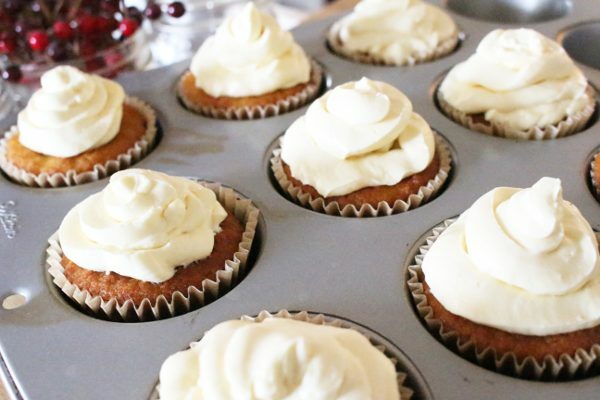 It works really well in the reader favorite Almond Flour Blueberry Muffins recipe! 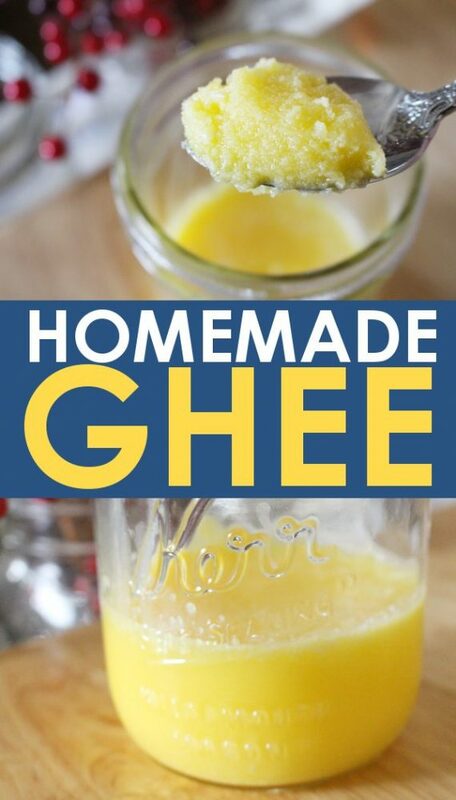 Fortunately, ghee is a very simple thing to make yourself and this ghee recipe will show you how! Recipe can be doubled, or tripled with ease. In a medium size sauce pan, melt the butter slowly over a low heat. Skim off the milk solids as they float to the top. Continue to cook the butter until all the milk solids have sunk to the bottom and the liquid is clear. This is clarified butter, keep going for ghee! Continue to cook for a few more minutes until all the solids at the bottom of the pan have turned brown. 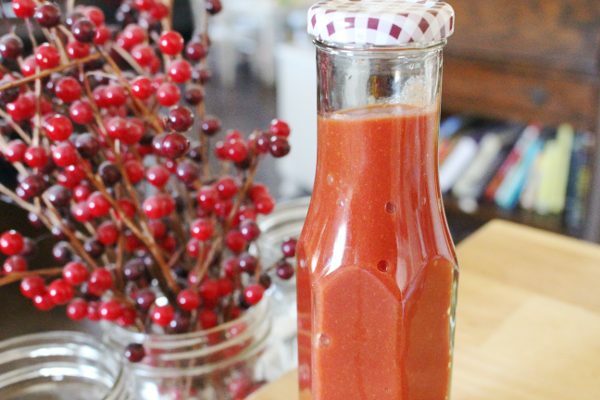 Strain the liquid into a glass container and allow to cool. Cover and store in the fridge. Discard strained milk solids. NOTE: The cooked milk solids give the ghee its flavor and color, so don’t stop at the clarified butter stage! Ghee is simply butter that has been cooked passed the clarified butter stage to remove as much milk protein as possible. Because both butter and ghee come from cow’s milk, their nutritional information and fat content are basically the same. However, because ghee does not contain the same amount of milk proteins as butter, it may be possible for people who can not consume dairy products normally. You can also cook with ghee the same way you would with butter. Yes, ghee is butter that has been heated to remove the remaining milk solids from the fat. 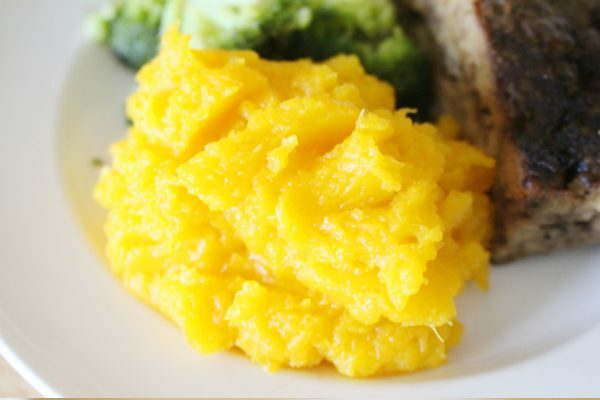 Once ghee is processed, there should be little to no milk protein remaining. This makes is suitable for most people, even those allergic to dairy. 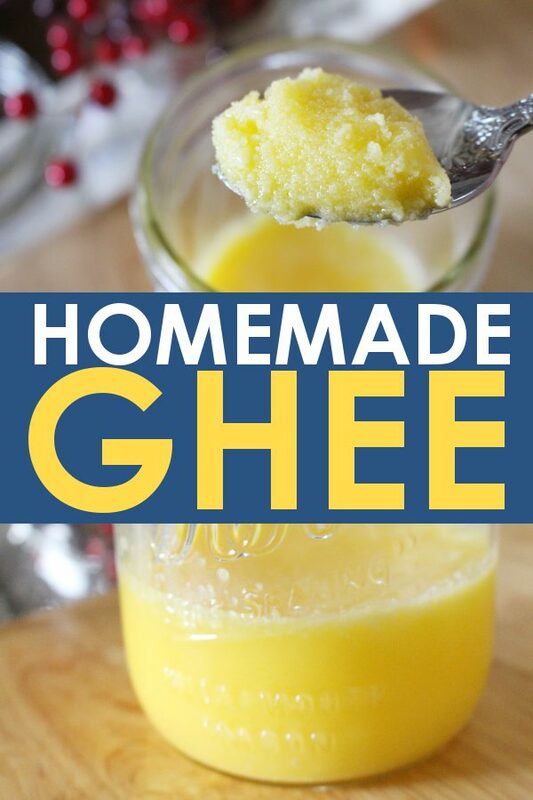 Learn how to make ghee at home and skip the expensive store-bought version! Melt the butter slowly over a low heat. Skim off the milk solids that float to the top. The cooked milk solids give the ghee its flavor and color, so don't stop at the clarified butter stage! Recipe can be doubled, or tripled with ease.